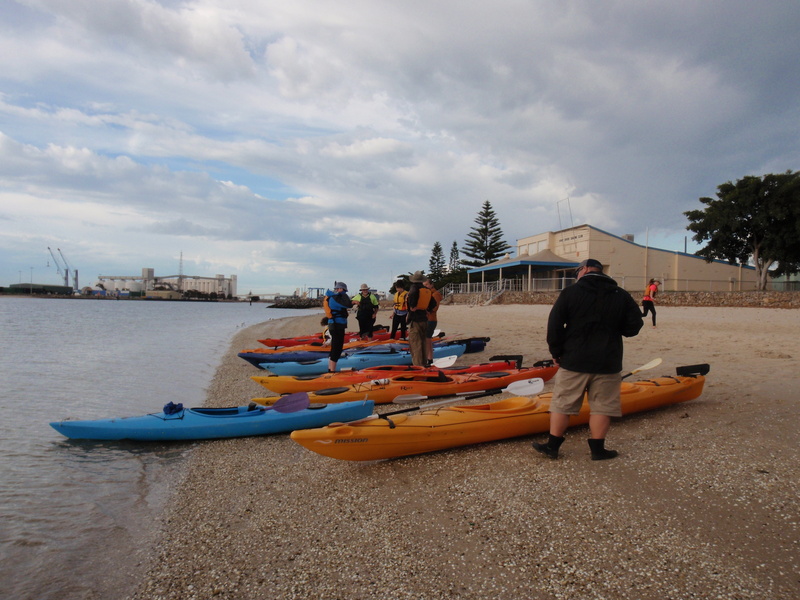 The Occurrence of the Venus shell, Tapes literatus, in the Port River | Marine Life Society of South Australia Inc.
Last year, I found a Venus shell, Tapes literatus at the Ships’ Graveyard in the North Arm of the Port River. I reported the discovery in my article entitled Further Discoveries at the Ships’ Graveyard. More recently, two more specimens were found on the western side of Torrens Island (8 October 2018). 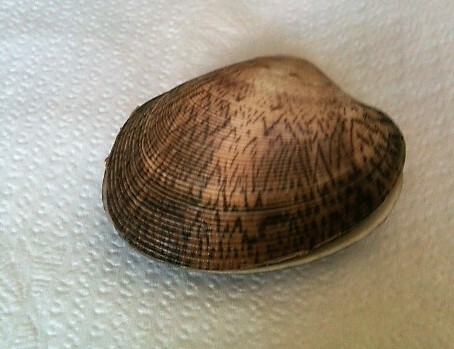 My kayak partner (known only as Greg) picked up a live specimen he spotted whilst we were motionless in shallow water. He passed it to me for inspection, after which I released it back into the water. A little while later, Greg picked up a dead specimen which I asked him if I could keep. I was only able to throw it in to the bottom of our tandem kayak at the time. To keep a long story short, we managed to safely return to our cars at Snowden’s Beach with our collected specimen. I had to leave in a hurry, so I tossed the specimen in the boot of my car. The specimen remained on the floor of my carport until today, when I finally got around to checking it out more closely. 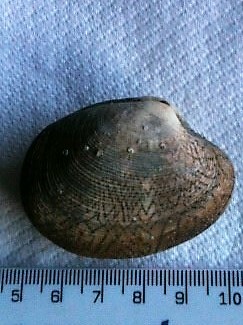 I confirmed that it was a Venus shell, Tapes literatus. I sent a text message off to to Peter Hunt from the Malacological Society of SA to notify him of the discovery. The photo on the left featured two coins for size comparison. 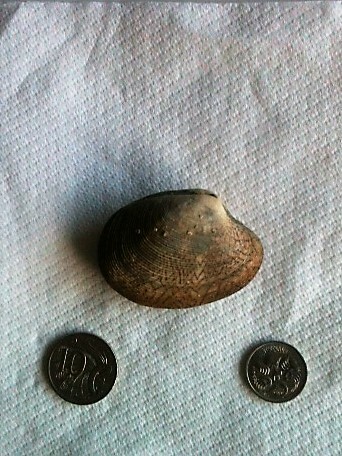 The photo on the right showed that the shell was slightly over 50mm wide. Peter Hunt wanted to know the location of the two specimens that I had seen on this recent kayak trip, but I couldn’t answer precisely. 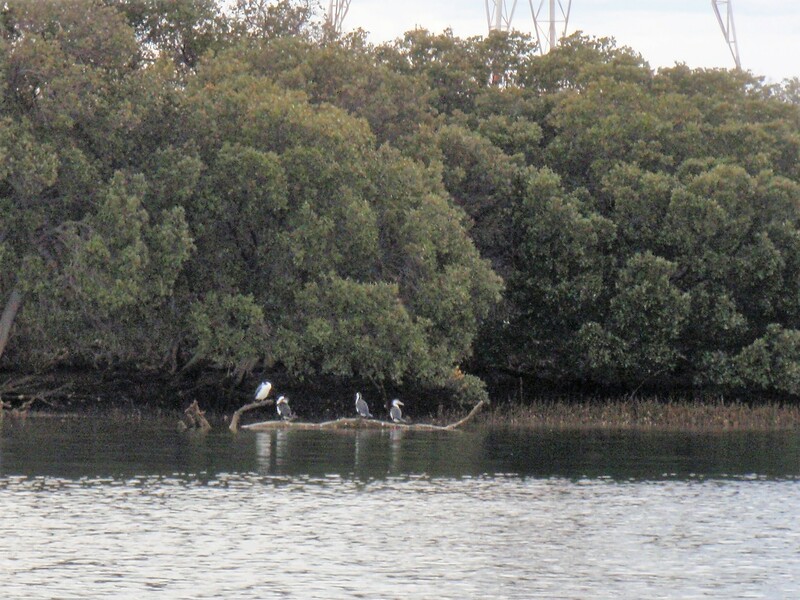 I could only suggest that the two were found in a general area north of the North Arm, north of the power station, about a quarter of the way towards the old Quarantine Station on Torrens Island. Peter made some further comments, advocating further collection and study. We agreed that more live and dead specimens should be collected, but acknowledged that the live collection ban enacted last summer to prevent the spread of Pacific Oyster Mortality Syndrome (POMS) could prevent our studies from progressing in the near term. Map of Port River bivalve closure (PDF 272.5 KB). Furthermore, collection of bivalves is prohibited in all waters of West Lakes and Port Adelaide River between Bower Road, Semaphore Park and the junction of Lipson Reach and North Arm, Port Adelaide. Once the ban is lifted, or a special exemption is granted to us, we intend to collect further specimens for future study. are these not the same as the tens of thousands on the Saint Kilda side Section Bank . They probably are Robert, we don’t know ourselves. Reports such as yours are helpful in determining the range of them, thanks.